Cabbage leaves eaten by beet armyworms. 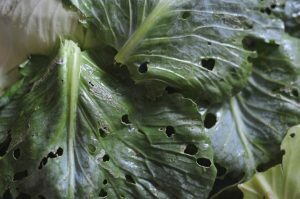 Every year I have beet armyworms destroy my lettuce and cabbage. They eat the foliage making holes that rot and ruin my crop. It seems like they always return no matter what I grow. My garden is small so you’d think they’d miss it but no way. What can I do? Is there a way I can treat the soil in my yard? My garden is about 1,000 square feet and my backyard is about 1/4 acre. You’ll need to treat the whole yard if you want to get rid of this pest for good. 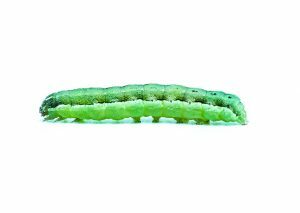 Like most armyworms, this insect feeds on the host plant as a caterpillar and then after it gets enough to eat, they will crawl elsewhere to pupate into the adult stage you probably see around the yard which takes the form of a brown moth. Beet armyworms can grow fast and complete their life cycle in 1-2 months. Found in Florida, Texas and other southern states, they can complete 3-4 generations a year so once you get them, they’ll come back strong as long as you continue to grow a garden. Female moths can produce 500 or more eggs and these eggs will hatch in just a few days. Since they cycle so fast, its easy to miss the initial problem and then just a couple of months into the spring and early summer, you can develop a massive problem. 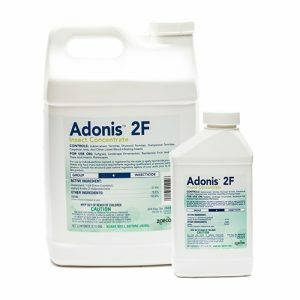 To get control of a local problem, treat the yard and surrounding area of the garden once a year with ADONIS. This systemic will grow into all the vegetation like grass, trees and shrubs. This ensures these plants aren’t feeding some of the problem. 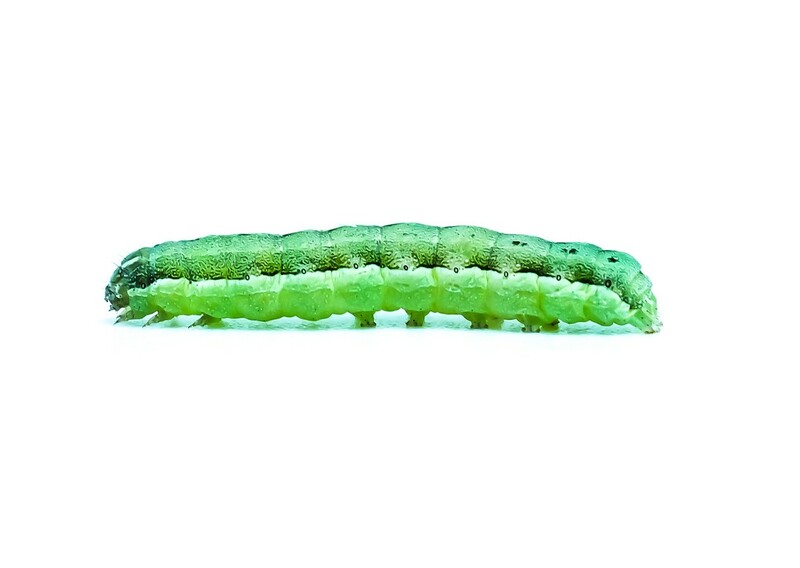 Beet armyworm moths can be found flying around yards with active larvae. They leave special scents which attract them year after year. This is why once you get them, they keep appearing but a thorough application with Adonis will knock them out for good. Use 2 oz per 10,000 sq/ft of turf and plan on treating once a year. 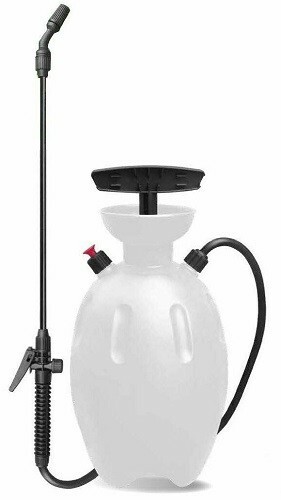 A good HOSE END SPRAYER will work well for the treatment as you need to use a lot of water. Fill our sprayer up half way and then add the 2 oz. Hook it to your garden hose and spray the entire amount over 1/4 acre covering everything but the vegetable garden. 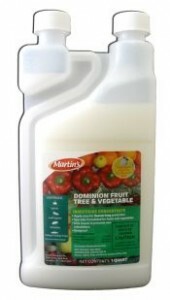 Once the yard is spray, use DOMINION FRUIT AND VEGETABLE on the soil of the garden and any plants growing. Plan on using this every 3 months to make sure they don’t get established. Dominion is safe enough to be used on plants which yield edible fruit and vegetables. Add 4 oz to a gallon of water and apply the mixes solution over 500 sq/ft of plants and soil. 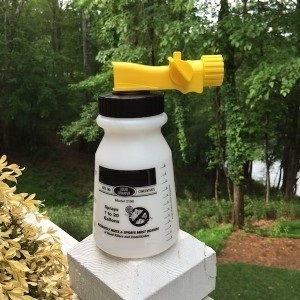 Use a good PUMP SPRAYER to apply the Dominion.